Our salon employs a therapist staff with national certification. We apologize that there may be times during a treatment session when we are not able to answer the phone. 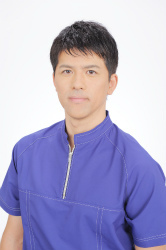 Our highly recommended therapist staff with national certification in acupuncture, shiatsu, and massage (Minister of Health, Labour and Welfare certification) and certification in aroma therapy exhibits confidence in knowledge and technique. Recently there has been a notable increase in the number of clients who instead of visiting our salon prefer treatment at home by using our convenient outcall massage and relaxation services. On the other hand, there are probably still a number of people who feel hesitant about inviting someone they are unfamiliar with to their home. For those clients who may feel uneasy about our outcall service, the therapy room in our salon in Kachidoki awaits your visit. Adhering to the principles of kindness and politeness, BodyAnge strives to deliver a pleasurable experience that promotes deep relaxation to each and every client, and particularly to first-time clients so that they feel at ease. Please be assured that our salon places the highest importance on trust, performance, and privacy. We will continue to work diligently everyday to delight you based on the principles of peace of mind, safety, and politeness. We look forward to serving you soon at BodyAnge.